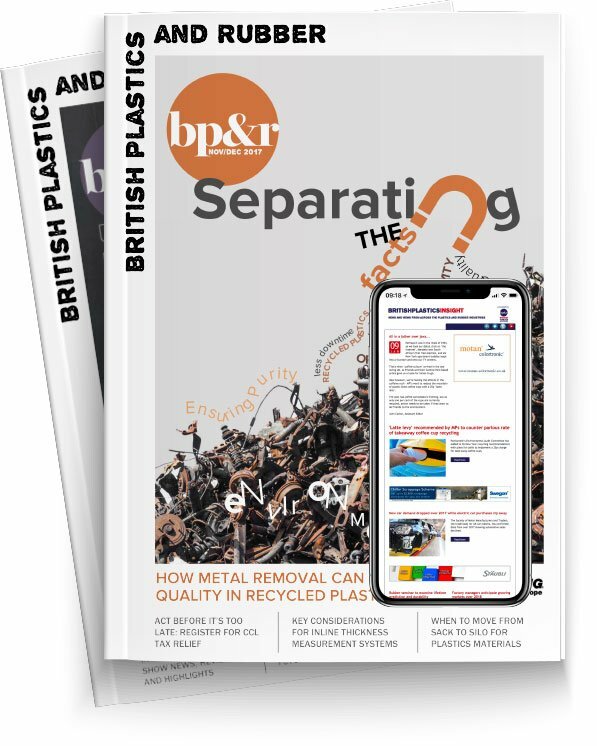 In his exclusive column, Philip Law, Director-General of the British Plastics Federation, covers a busy month that will see a formidable UK delegation make inroads into the Chinese export market, a busy month of consultations for the future of UK recycling systems and the opening of entries for the world’s oldest plastics award. This month sees the Chinaplas exhibition in Shanghai from 24th-27th April. We will have 18 exhibiting firms within the BPF’s pavilion, which is supported by the Department for International Trade. We have a number of stalwart exporters on the stand together with firms that are relatively new to the market. After a couple of months of media attention, we are now seeing some light at the end of the tunnel. I received a letter from Michael Gove, Secretary of State for the Environment, in which he was at pains to spell out that he was at war with plastics waste and not with the plastics industry. He said he appreciated the benefits of plastics packaging and that he supported the plastics industry’s actions. There is also some abatement in the negative media coverage and a change of tone. ‘The Known Unknowns of Plastics Pollution’ in The Economist magazine on March 3rd, for example, was a model of balance. Also in March, the Treasury published its long awaited ‘Call for Evidence’ on a possible tax on single use plastics. We were pleased to see that a wide range of options were mooted, including potential reform of the ‘PRN system’, which the BPF had been pressing for. We are now preparing our response and we will be urging companies in the industry to follow our lead and send in in their own comments supporting the BPF into the review before the deadline of May 18th. At the end of March the Government – this time Defra – announced a consultation on the introduction of a deposit return scheme (DRS) for beverage containers. We were pleased that plastics were not singled out for special treatment. The consultation will also apply to aluminium cans and to glass bottles. This is only fair as plastics bottles only account for two per cent of litter and 20 per cent of littered beverage packaging. I’d also say that the UK has a pretty encouraging record on recycling plastics drink bottles and the rate currently sits at 74 per cent. Finally, the Horners Award for Plastics Innovation and Design 2018 is now officially open for entries. It’s actually the oldest plastics award in the world, having been instituted in 1947 and to be a winner is a real feather in the cap for a company.